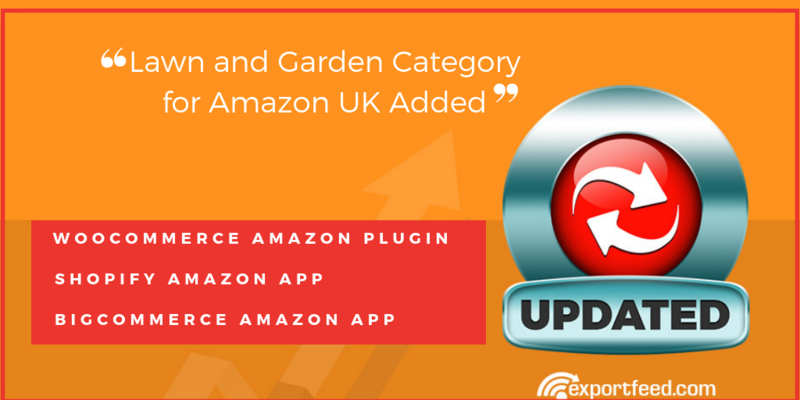 We are happy to Announce that Lawn and Garden Category for Amazon UK marketplace is now added to ExportFeed Amazon WooCommerce plugin and BigCommerce & Shopify Apps. This update was a part of demand from our customers. So if you also have such or similar demands for Categories or newer Marketplaces, please let us know. We will be happy to increase your sales through the marketplaces.